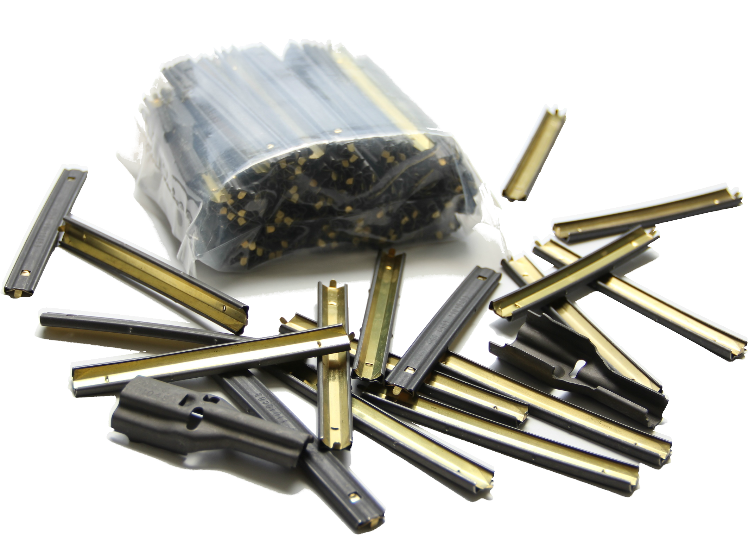 Like New, Once Unloaded, Mil-spec, AR15 Stripper Clips For .223/5.56mm ammo. Not range pick-ups! 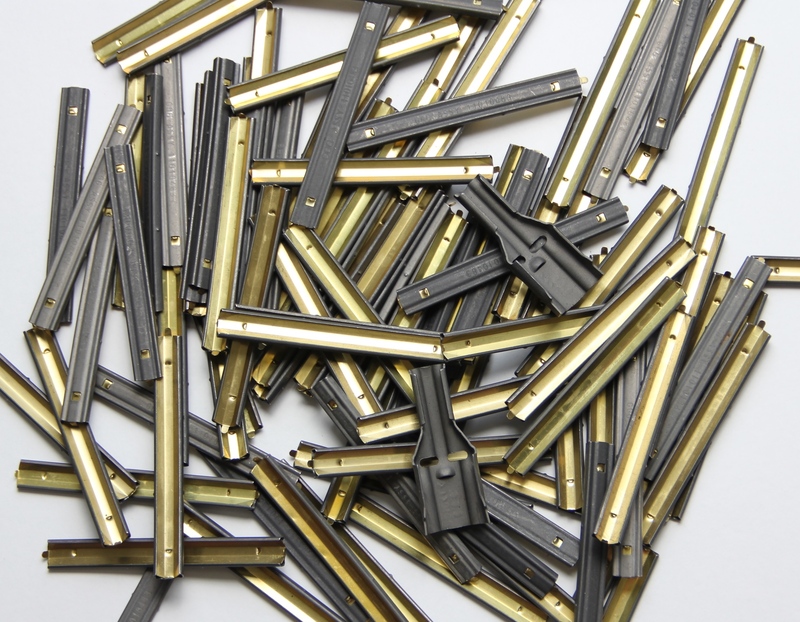 Purchase the same military specification USGI stripper clips used by the Lake City Army Ammunition Plant for US military 5.56mm ammunition, but for much less than retail. 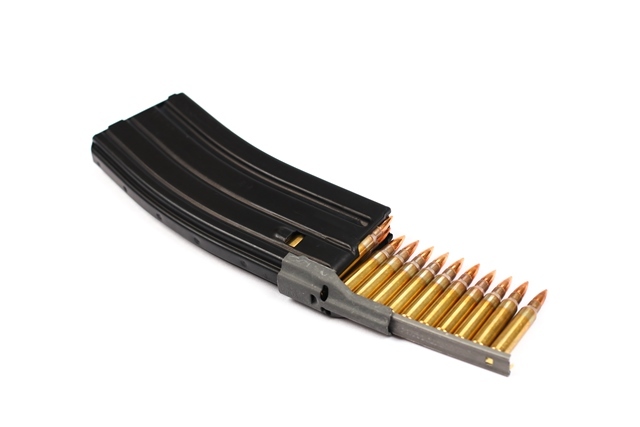 Compatible with USGI style aluminum and high quality aftermarket polymer magazines for the M16 family of rifles to include the M4, and the AR15. Manufactured in the USA by GG&G. Like new, rust free, surplus stripper clips with both tabs intact. Once unloaded and stored indoors. 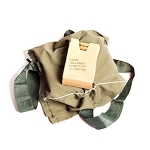 Store your ammo the same way as the professionals. Sold in packs of 100 with two charger spoons/stripper clip guides. 100 stripper clips are enough to load 1000rds of ammunition. 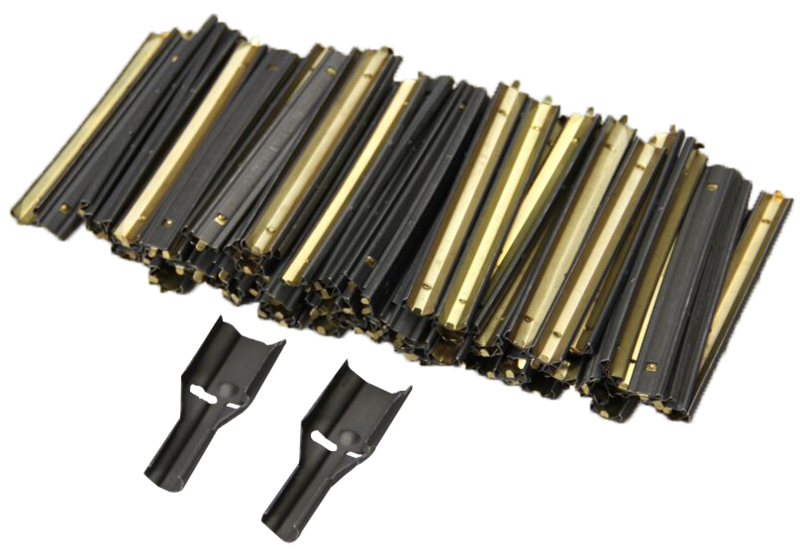 Each stripper clip accommodates 10 rounds of .223, 5.56mm NATO or 300BLK ammunition, and are reusable. 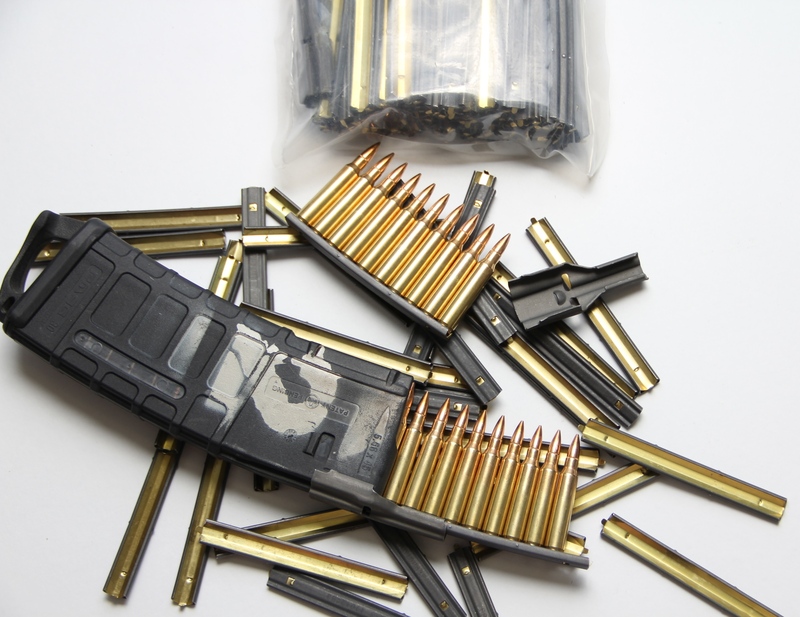 Stripper clips, also known as "speed loaders," decrease the time required to load ammo in your AR-15 magazine by allowing 10 rounds to be loaded in one motion, rather than individually. 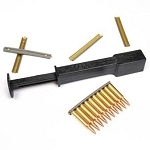 Save time at the range by loading your ammo on stripper clips or pre-stage your ammo on stripper clips for rapid reloads during SHTF zombie invasions. 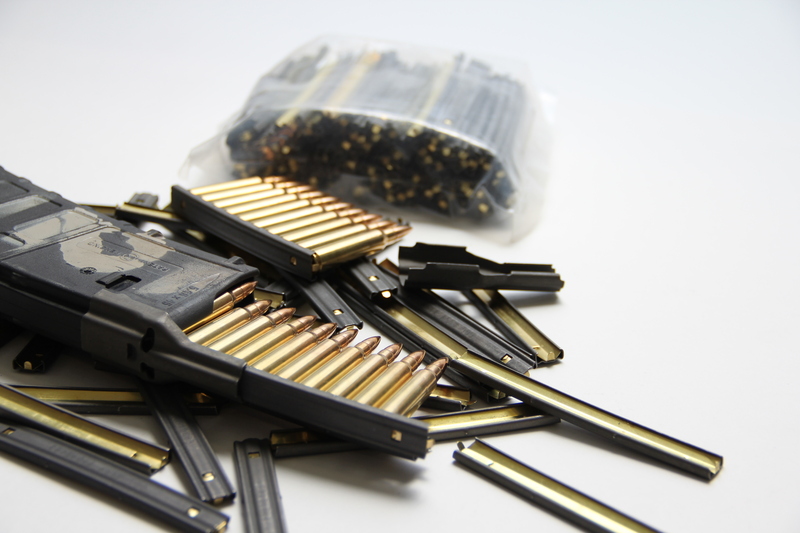 Stripper clips are especially handy where lane rentals are charged by the hour or when participating in group shooting events where prep time between courses of fire is limited. In addition to saving time on the range, stripper clips are a great way to organize loose ammunition for long-term storage in ammo cans. For a fast and easy way to load your stripper clipped ammo into your AR-15 magazine, add a Viking 5.56SC Speedloader to your order! 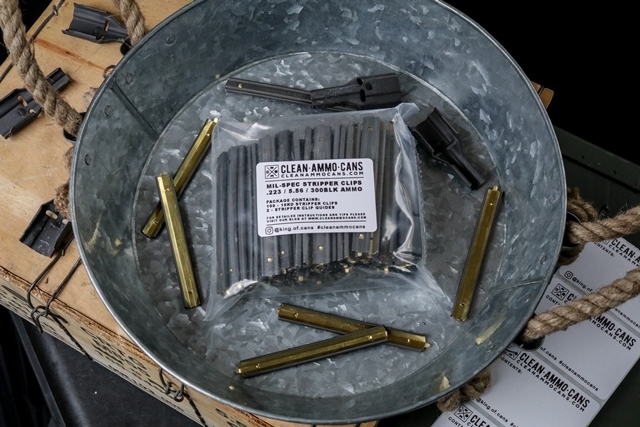 Why buy stripper clips from cleanammocans.com? Good deal on strippers clips! Good deal on strippers clips! They look brand new and come with two charger spoons. I bought a case of ammo and loaded it all up on the clips then stored it in a 50 cal ammo can. Great condition, just bought my second pack. All were in pristine condition and transaction was handled promptly. They literally look brand spanking new. Stripper clips were great. Good quality, clean and no broken tabs. Great deal on these strippers clips! They shipped super fast and look brand new. There were two charger spoons. I loaded up about 300 rounds with no issues. I should have just bought the 200 pack! Great product at a great price. They work perfectly.